This subscription box is for kids aged 6-11 (there's a girl version and a boy version). You can buy a subscription for 3, 6, or 12 months (cost ranges from $11.19 to $12.59) or you can buy individual boxes for $13.99 each plus shipping. I looked up some of the items in the January box and they are worth more than the cost of the box, so the box is "worth it" in that way. When I peeked at the box contents before giving them to the girls, I wasn't sure how I felt about it- I questioned whether I would want to order a box of random toys and trinkets (after all, don't we have enough of those things?) But after watching the girls open the boxes and hearing their reactions, I can definitely see the appeal for kids (if not for their parents ;). I can see how this would be a fun gift to give to a child- and if you got a subscription, they would be so excited each month when their little package arrived! The girls liked most of their items (though Talia thought the gum that came with her finger puppet was disgusting and my girls aren't really into Harry Potter and didn't know who Kirby was ;) I know they made a fuss in the video about the colouring book smelling bad, but I sniffed it and don't know what they're talking about ;) Have you ever ordered a monthly subscription box for your kids or yourself? I'll be sharing another type of subscription box with you next week! Disclosure: We received the products mentioned for review purposes. All opinions shared are our own. We love NerdBox! My sons each had a subscription for a few months last year. Will likely renew for the summer! 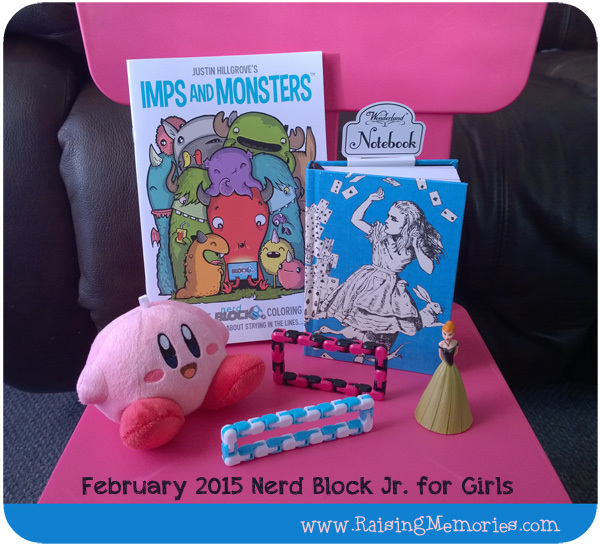 That's great to hear that you've had a subscription to Nerd Block Jr before and liked it! This looks like fun! :) My girls love getting mail and we did a slightly different subscription box once. I put it on their Christmas list this year. Thanks for sharing! So fun- I think the whole idea of a subscription box is a lot of fun- like getting a gift in the mail each month- and who doesn't love that?! Thanks for sharing. My son loves getting mail and I'm sure would be thrilled to receive a package each month. 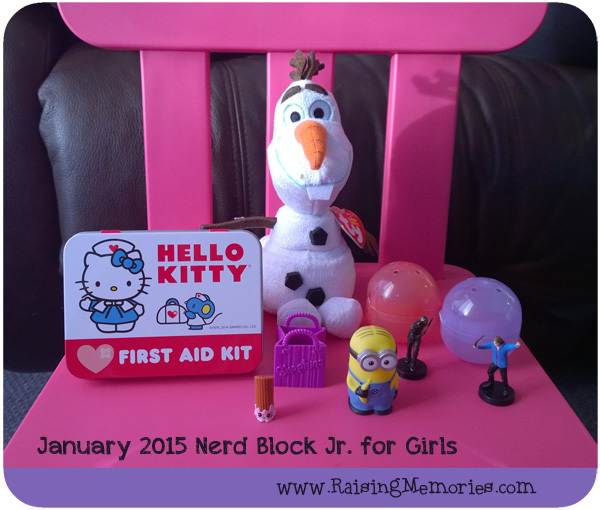 I have heard wonderful things about Nerd Block Junior. My kids love receiving things in the mail, this looks really neat.